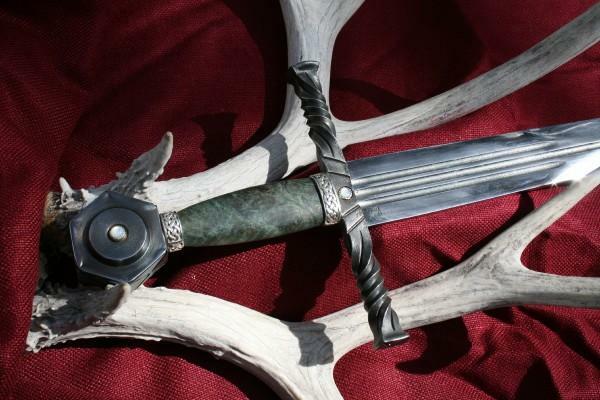 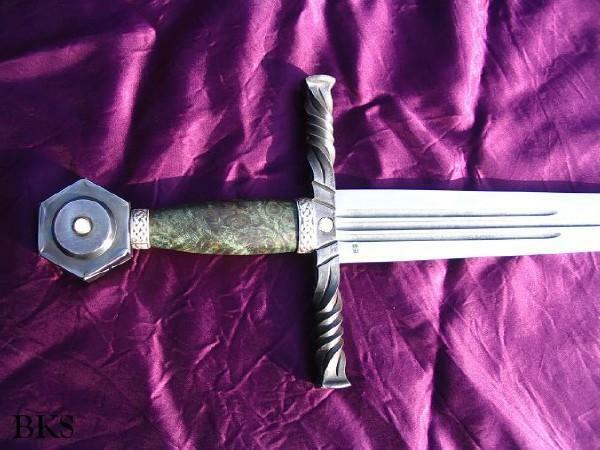 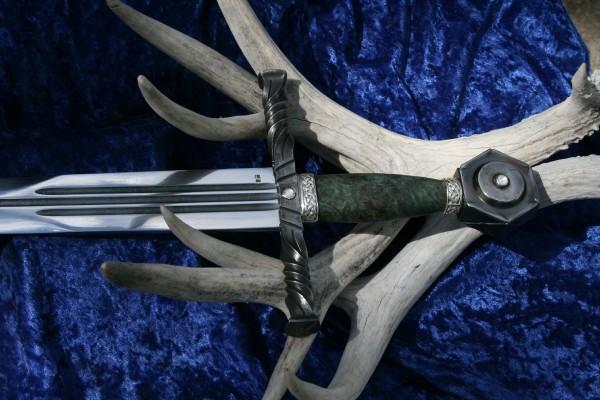 This is a custom triple fullered sword with forged and chiseled mounts, stabilized maple burl handle and sterling silver knot work fittings handle fittings. 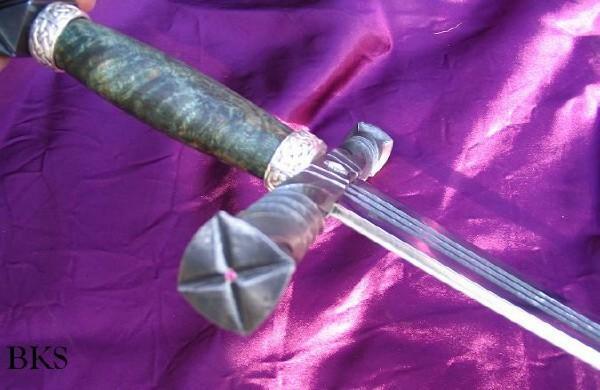 It gets it's name from the pommel being adorned with Mother of Pearl set in silver. 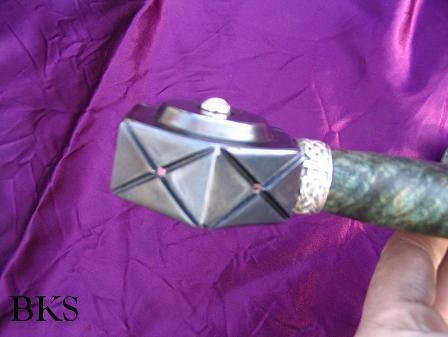 There are a total of 7 rubies set in 14k gold through out the piece. 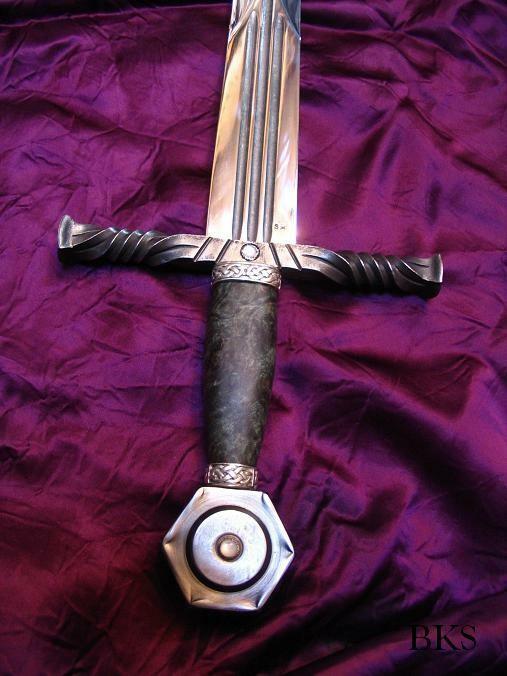 The blade is in high mirror finish and is quite light in hand.